We have it! 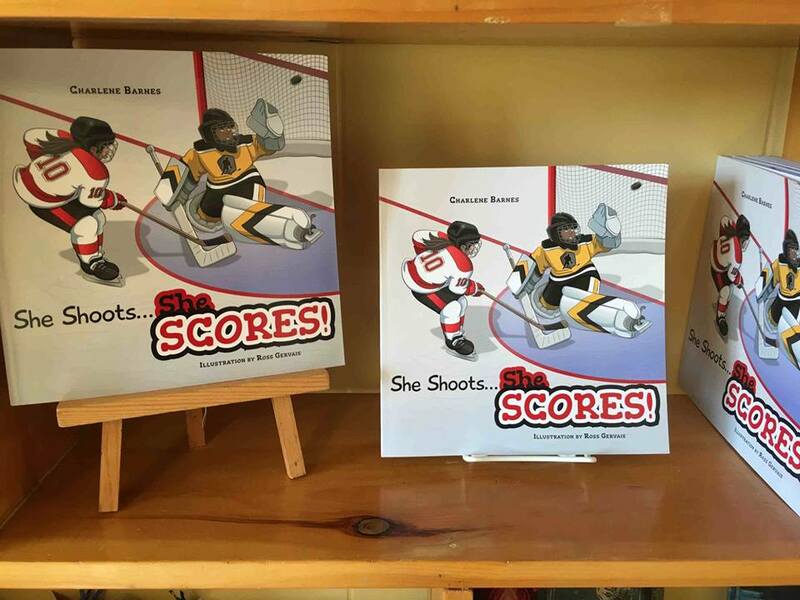 This children’s book is perfect for young readers, especially those who love sports and hockey. Canadians have been playing hockey for generations, with excited little boys being driven to their local arenas over and over again, at the crack of dawn, by sleep-deprived parents who just want them to be happy. After all, hockey is the most exciting and Canadian sport there is! But who said it was just for boys? More than ever, little girls are getting in on the excitement, proving to their brothers and fathers (and themselves), that they are every bit as fast and skilled as the boys—and enjoying every minute of it! 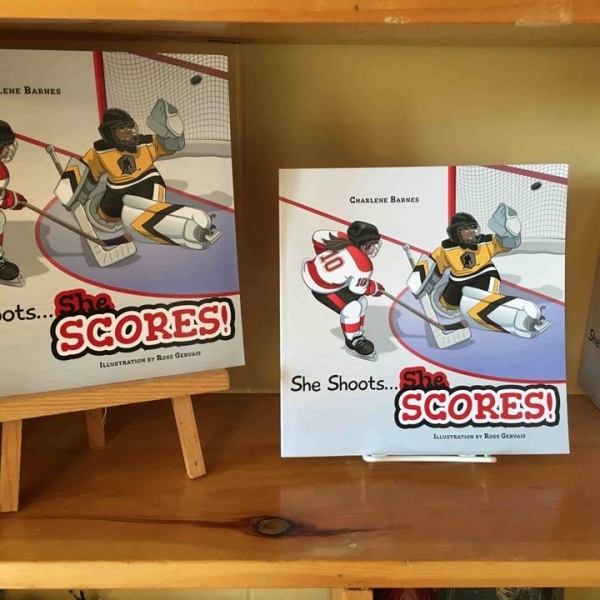 With this, her first published children’s story, Charlene Barnes celebrates these young female hockey players, in rhyme, as they take to the ice, make friends, and play the game that she has grown to love. 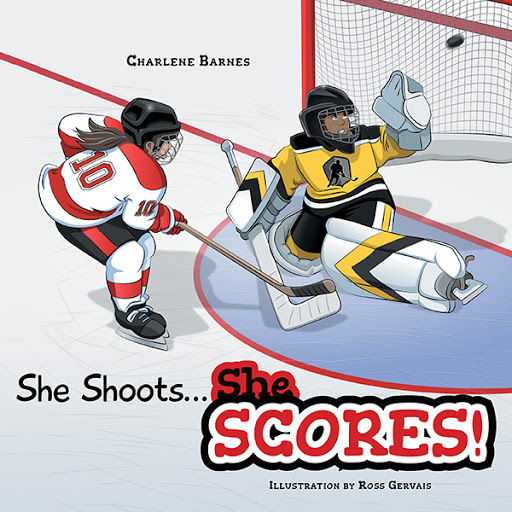 She offers you She Shoots… She Scores!